Today the U.S. Department of Veterans Affairs (VA) announced a series of immediate actions to improve the timeliness of payments to community providers. 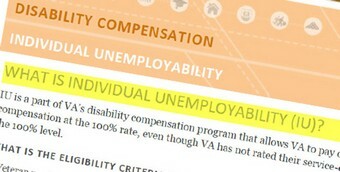 As a VA claims processor, Veterans often ask me about Individual Unemployability (IU), also called Total Disability based on Individual Unemployability (TDIU). The following is a more formal version of what I tell them. WILLIAMSON — Mike Sherwood applied nine years ago for government compensation for exposure to Agent Orange during the Vietnam War, complaining it caused the coronary artery disease and other serious health problems that still afflict him today. 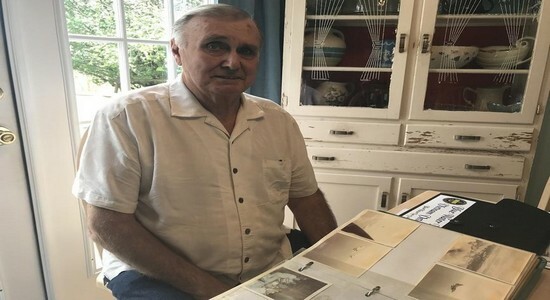 The Navy Veteran believes he came into contact with the toxic defoliant while serving aboard the Intrepid aircraft carrier in the Gulf of Tonkin and South China Sea between 1968 and 1969. But the Veterans Affairs Department rejected his application, saying he needed to submit evidence of “in-country service” in Vietnam or proof of exposure to herbicides, a high bar decades after the fact. So, Sherwood gave up. However, a January federal appeals court ruling in favor of another seaman with similar complaints who served on the Intrepid and related legislation pending in Congress are renewing hopes for Sherwood. He is among the so-called Blue Water Navy Veterans — an estimated 90,000 served on ships off the coast of Vietnam — who could be eligible for VA benefits for Agent Orange exposure under the court decision. Sherwood is gathering his records and has contacted an attorney about pressing his claim with the VA.
During Operation Ranch Hand, the U.S. military sprayed Agent Orange to deprive Communist forces of cover and crops in the dense jungles. The herbicide — it got its name from the orange-striped barrels in which it was stored — contained one of the most toxic forms of dioxin, a compound linked to some cancers. The VA provides compensation and health care to troops who served on the ground in Vietnam or on its inland waterways and are suffering from seven forms of cancer and seven other illnesses it says are linked to Agent Orange exposure, including the ones that trouble Sherwood today. The VA has resisted extending those benefits to Navy Veterans like Sherwood who never set foot on Vietnamese soil, warning the science linking them to Agent Orange exposure is tenuous. The non-partisan Congressional Budget Office has said the additional cost of the benefits could reach $2.5 billion over 10 years. And the VA said that would divert funding from other priorities. On the opposing side of the fight has been Georgia Republican Sen. Johnny Isakson, chairman of the Senate Veterans’ Affairs Committee. He has pushed legislation to extend benefits for the Navy Veterans. While the House unanimously passed it last year, a pair of fiscal conservatives blocked its progress in the Senate. One of them was libertarian Sen. Mike Lee, R-Utah. He urged colleagues to wait for the results of a scientific study to first ensure there was a clear link to Agent Orange exposure for those Veterans. G-II Varrato II — an Air Force Veteran, Phoenix Realtor and director of the Arizona chapter of the Veterans Association of Real Estate Professionals — also fought the legislation. He supports the plight of Blue Water Vets but took issue with some of the ways the bill proposed offsetting the cost of the expanded care. It would have raised certain VA home loan fees. “It is not about the dollar. It’s about honoring those that served and gave part of themselves to this country,” said Varrato, himself a disabled Veteran. Isakson’s House colleagues are ready to try again this year. They introduced H.R. 299, which would extend benefits to Veterans who served offshore of Vietnam during the war. The measure includes a retroactive provision to cover those who filed VA compensation claims as far back Sept. 25, 1985.The U.S. Court of Appeals for the Federal Circuit changed the political dynamic in January when it ruled in favor of Alfred Procopio Jr. He served on the Intrepid during the war and was rejected for VA benefits for his diabetes and prostate cancer. The government has linked both ailments to Agent Orange exposure. The court ruling requires the VA to cover the costs of extending the benefits to Blue Water Veterans, regardless of whether Congress passes its own legislation. The Justice Department has until April 29 to decide whether it will appeal the ruling to the Supreme Court. A Justice Department spokeswoman declined to comment about her agency’s plans. But Wilkie recently told federal lawmakers he has recommended that the Trump administration stand down. If the appeals court decision holds, Isakson has pledged to work with the VA to help implement it. “It was in the water. It was on the planes. I mean, we crawled all over those planes,” he said. In December of 2005, Sherwood felt ill and went the hospital, where he was diagnosed with ischemic heart disease. That’s one of the illnesses the VA says is linked to Agent Orange exposure. A nurse came into this room and told him he had experienced two heart attacks. He underwent quadruple bypass surgery. Three years later, his feet began tingling. Doctors told him he had diabetes, which can cause neuropathy, or numbness. In 2017, he had three stents inserted in his arteries. He now takes four types of medicine for his blood pressure and diabetes. At stake for him, Sherwood said, is what he estimates could be more than $2,000 in additional monthly VA compensation for Agent Orange exposure. Now retired, he lives in a modest home southwest of Griffin with his wife, Brenda Hunton, drives a 2001 GMC truck with 180,000 miles on it and receives some Social Security benefits. EGLIN AFB — A local attorney and the attorney who argued the case of Vietnam Veterans exposed to the herbicide Agent Orange that led to a $180 million settlement in 1984 — the largest settlement of its kind at the time — are joining forces on behalf of civilian workers exposed to the chemical compound on Eglin Air Force Base ranges in the 1960s. The two attorneys have drafted a complaint, but have not yet filed it in federal court, according to Santa Rosa Beach attorney Rusty Sanders. Sanders was approached some months ago by civilian workers for defense contractor Vitro Corporation, which was involved in applications of Agent Orange on the Eglin ranges. Sanders subsequently brought in Upstate New York attorney Victor Yannacone, who took the Vietnam Veterans’ case and in the process, became an expert on Agent Orange. The civilian workers’ case “is the same thing all over again,” Yannacone said Monday. One thing that’s different this time around, though, is that the 200-page potential court filing includes documentation indicating that manufacturers of Agent Orange knew that it was dangerous to humans, Yannacone said. According to Yannacone and Sanders, the potential filing targets those manufacturers, including Monsanto, Dow, Diamond Shamrock and others, along with contractors including the successor company to Vitro Corporation. “Unfortunately, you need tremendous financial resources,” Sanders said. According to Sanders, he and Yannacone now are looking for some major law firms, or possibly a “public interest consortium,” to help them wage a legal battle on behalf of the former civilian range workers. So far, about 30 former range workers and their families are named in the legal action, but Sanders said he also has a working list of many more former Vitro workers. The potential legal action has attracted some attention in connection with a recent podcast for Living Downstream, an environmental justice initiative of Northern California Public Media. The 26-minute podcast was reported by New York City-based radio reporter Jon Kalish, who also reported on the Vietnam Veterans’ Agent Orange case. In the podcast, online at https://bit.ly/2FP7DWi, a number of former Vitro employees recount their exposure to the chemical — used to defoliate Vietnamese jungles to deny hiding places to enemy troops — which included being sprayed themselves by the chemical as aircraft sprayed it from overhead, as often as three times weekly. “I remember one time it was like thin mud,” one of the Vitro workers says in the podcast. The spraying was recorded on film, and one worker recalled how he and others were instructed to ensure that the cameras were kept clean. “They never told us anything about wiping ourselves down,” the worker said. Also according to the podcast, titled “The Forgotten Civilians of Eglin Air Force Base,” when former Vitro workers happened to come into contact with each other a couple of decades after their work with Agent Orange, they began to realize through their conversations that many of them were experiencing serious medical issues, from cancer to thyroid problems to skin issues to rampant arthritis. A couple of years ago, a number of the former Vitro workers who believe their medical issues — and medical problems suffered by some family members — are a result of exposure to Agent Orange, approached Sanders about taking their case. In turn, Sanders contacted Yannacone. Blue Water Navy Vietnam Veterans recently won the support of Veterans Affairs Secretary Robert Wilkie for a court ruling that could make tens of thousands of former service members and their survivors eligible for benefits stemming from exposure to Agent Orange decades ago. But now they are awaiting the Trump administration’s decision whether to challenge the ruling in the U.S. Supreme Court. The Justice Department’s solicitor general’s office is weighing a challenge to the court ruling, issued by the U.S. Court of Appeals for the Federal Circuit. Any decision to appeal the court ruling would put the Trump administration at odds with Vietnam Veterans—and the head of the Veterans Affairs office. The benefits have been estimated to cost Veterans Affairs more than $1 billion over 10 years. The so-called “blue water” Navy Vets served in the territorial waters offshore of the Republic of Vietnam. Until the Jan. 29 ruling by the full Federal Circuit, those Veterans had been denied the presumption of Agent Orange exposure during the Vietnam War. The Justice Department, supporting the Department of Veterans Affairs’s interpretation, had argued that the Agent Orange Act covered only those Veterans who served on the ground or inland waterways of Vietnam. The 9-2 decision in Procopio v. Wilkie could open the door to tens of thousands of benefit claims by the Veterans. Diseases that the Veterans Affairs department presumes are associated with Agent Orange include ischemic heart disease, type 2 diabetes, Parkinson’s disease and various types of cancer. Wilkie recently said 51,000 claims are being processed. “That would be my recommendation from VA,” Wilkie said. He cautioned that his recommendation is not the final word. The U.S. solicitor general, consulting with federal agencies, generally makes decisions on government appeals to the Supreme Court. 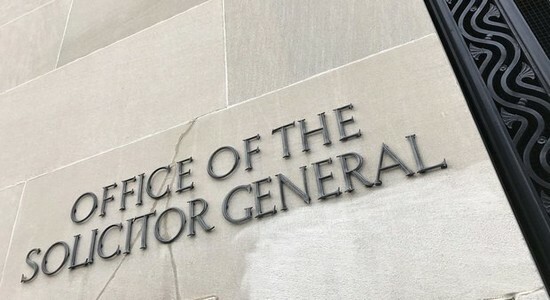 Another complicating factor for the solicitor’s office is the fact the U.S. State Department has expressed interest in having the Federal Circuit decision appealed. The State Department is concerned the Federal Circuit ruling could have international law implications beyond the Agent Orange Act. A Justice Department representative said no decision had been made yet on an appeal. “We’ve heard the State Department has some issues,” said John Wells of Slidell, Louisiana, who was on the Vietnam Veterans’ legal team with Melanie Bostwick, a partner at Orrick, Henderson & Sutcliffe who argued the case. The Federal Circuit rejected the government’s request to put its decision on hold until the government decided whether to appeal, Wells said. 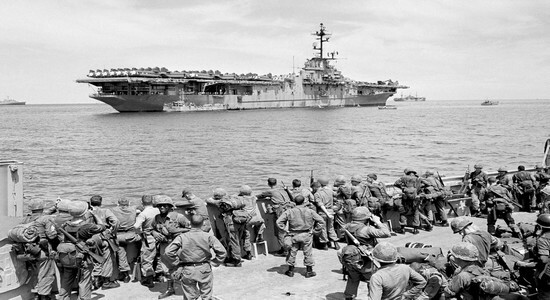 The issue before the Federal Circuit was whether the phrase “served in the Republic of Vietnam” unambiguously included service in offshore waters within the recognized territorial limits of that country. Judges Timothy Dyk and Raymond Chen, both voting in dissent, said the Agent Orange Act was ambiguous and Congress, not the court, was the appropriate body to resolve the issue. The formal deadline for the solicitor general’s filing of a petition in the Supreme Court is April 29, but an extension of time may be requested. WASHINGTON – Ten national Veterans organizations pleaded with President Donald Trump on Tuesday, asking him to direct the Justice Department not to appeal a recent federal court decision that could extend benefits to thousands of Vietnam War Veterans. The Court of Appeals for the Federal Circuit ruled 9-2 in January that “Blue Water” Navy Veterans, those who served aboard ships offshore during the war, are eligible for benefits to treat illnesses linked to exposure to the chemical herbicide Agent Orange. Veterans and lawmakers have asked VA Secretary Robert Wilkie not to contest the decision. On Tuesday night, 10 groups appealed directly to Trump. “On behalf of the undersigned Veterans service organizations and our millions of members, we urge you to direct the Justice Department NOT to appeal the U.S. Appeals Court for the Federal Circuit decision,” they wrote in a letter to the president. The court ruled in favor of Alfred Procopio, Jr., 73, who served on the USS Intrepid during the Vietnam War. Procopio is one of tens of thousands of Veterans who served aboard aircraft carriers, destroyers and other ships and were deemed ineligible for the same disability benefits as those Veterans who served on the ground and inland waterways. The decision came 10 years after the VA denied Procopio’s disability claims for diabetes and prostate cancer. At issue was interpretation of the current law, which allows easier access to disability benefits for Veterans who “served in the Republic of Vietnam” and suffer from one of a list of illnesses linked to the Agent Orange. The herbicide has been found to cause respiratory cancers, Parkinson’s disease and heart disease, as well as other conditions. The court determined territorial seas should be included in the definition of “Republic of Vietnam” – a point the government disputed. 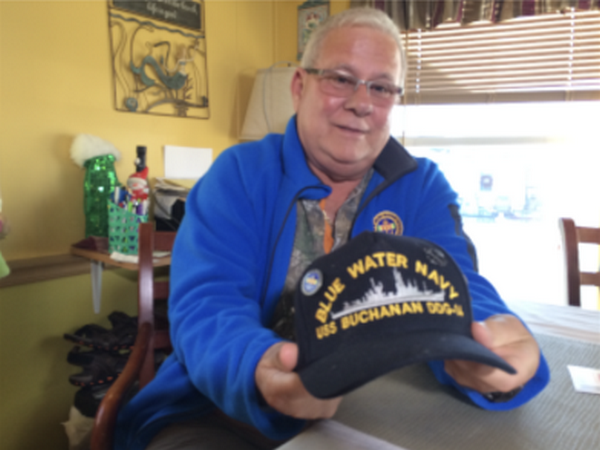 For Procopio and other Blue Water Navy Veterans, the decision could result in thousands of dollars of disability benefits each month. John Wells, one of the attorneys on the case, estimated 50,000 to 70,000 Veterans could become eligible for benefits. The ruling followed a failed effort in Congress last year to approve the benefits. 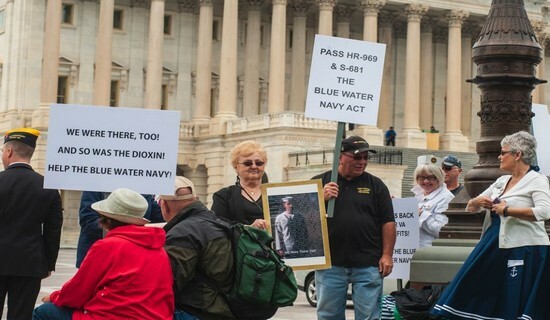 The House voted unanimously in favor of the Blue Water Navy Vietnam Veterans Act last year, but the legislation stalled in the Senate after Wilkie voiced his opposition, citing high costs and insufficient scientific evidence linking Blue Water Navy Veterans to Agent Orange. The House and Senate reintroduced the legislation at the start of the new congressional session. The top lawmakers on the Veterans affairs committees – Sens. Johnny Isakson, R-Ga., Jon Tester, D-Mont., and Reps. Mark Takano, D-Calif., and Phil Roe, R-Tenn. – said in February that they would attempt again to pass the legislation. It’s taken more than 50 years, but the dangers that Vietnam Veterans such as Keith Trexler faced during the war finally are being recognized. Tens of thousands of sailors including Trexler — who served on ships offshore — long have been denied the same benefits that the government has granted soldiers who fought in the jungles. “They sent us into harm’s way. They exposed us to certain things and they’re not standing by their people,” said Trexler, 71, of Whitehall Township. The government may be forced to stand by them. In late January, a federal appeals court ordered the U.S. Department of Veterans Affairs to treat sailors the same as soldiers, by presuming they were exposed to Agent Orange during the war. The court said the VA should pay them benefits for cancers and other ailments that scientists have linked to those chemicals. Before that ruling, offshore personnel could obtain benefits related to Agent Orange only if they could prove they were exposed. There was no presumption as with personnel who had “boots on the ground” or served on boats on inland rivers, directly where the chemicals were sprayed to kill jungle growth and clear the way for combat. As Trexler’s case illustrates, it hasn’t always been easy for offshore Veterans to prove exposure. He contends he could have come in contact with Agent Orange, a blend of herbicides, in many ways. He said the chemicals eventually would have drained into the harbors and sea, and ship crews drank and cooked with distilled seawater. They swam in the water, too. One of the ships he served on, the USS De Haven, operated inland on the Saigon River. Trexler was not aboard at the time, but he questions whether the ship could have spread contaminants to sailors who later sailed on it. Those arguments weren’t enough to convince the VA, at least at first. Trexler’s benefits claim was denied in 2013. I wrote about his beef with the agency in 2015. He kept fighting, and with help from former Congressman Charlie Dent’s office, was granted benefits in 2017 for prostate cancer and diabetes. Those are two conditions the VA recognizes as possibly stemming from exposure. I reconnected with him recently to get his take on the court ruling, knowing it may not be the final word because the VA has the option to appeal it. He sees the ruling as a long overdue acknowledgement for Veterans such as him. He hopes it will make it easier for his comrades to get benefits. And while he’s already being compensated, he hopes the ruling could help him, too. He intends to seek increased compensation, for health problems he says are side effects of his prostate surgery, and for a skin disorder on his leg and ankle. The VA long has expressed sympathy for Veterans such as Trexler, known as “blue water Veterans,” while maintaining that science doesn’t support their claims of exposure. The agency says herbicides that got into seawater would have been significantly diluted. It has argued that allowing additional benefits claims would add to its work backlog and cost taxpayers. Last year, the Congressional Budget Office estimated the cost would be $894 million over the next decade if blue water Veterans were presumed to have been exposed to Agent Orange. The VA estimates the cost to be much higher — $5.5 billion. It says the budget office significantly underestimated the number of eligible Veterans and their survivors, and didn’t consider that 803 new employees would be needed to handle their claims. The budget office estimated 30,000 Veterans could qualify — and another 22,000 who may have qualified are presumed dead. Trexler isn’t the only local blue water Vietnam Veteran who has struggled to get benefits. I wrote last year about Barry Mensch of Whitehall, who served on a Navy hospital ship for about 11 months in 1968. In 2008, he had surgery for cancer. The VA denied his claim for Agent Orange-related benefits. The ship he served on, the USS Sanctuary, is on a VA registry of watercraft determined to have been exposed to herbicides because it docked, sailed on inland waterways or operated close to shore with evidence that crew members went ashore. Mensch told me he went ashore at least twice. He suspects he also came in contact with Agent Orange through helicopters that brought wounded soldiers to the ship from the battlefields. He occasionally carried stretchers from those helicopters. His challenge is different from Trexler’s, though, and the January court ruling may not help him. His cancer, squamous cell carcinoma, is not on the list of illnesses that the VA acknowledges stem from herbicides. So even if the court ruling means he is presumed to have been exposed, that’s not enough. He must prove his cancer was connected to military service. He sent the VA letters from three physicians to support his claim. The VA countered that his cancer could have stemmed from smoking. So he’s at a stalemate. Mensch told me Wednesday he may not pursue the claim. January’s ruling, which came from the U.S. Court of Appeals for the Federal Circuit, resolved a claim from another Navy Veteran, Alfred Procopio Jr. of Minnesota. He had been denied benefits for prostate cancer and diabetes. That court ruled against blue water Veterans in a similar case in 2008. But it sided with Procopio and overturned its previous ruling. A majority of the court concluded that the law passed by Congress in 1991 to grant benefits to Vietnam Veterans — with the presumption that they were exposed to Agent Orange — was meant to apply to all who served in Vietnam, including offshore. 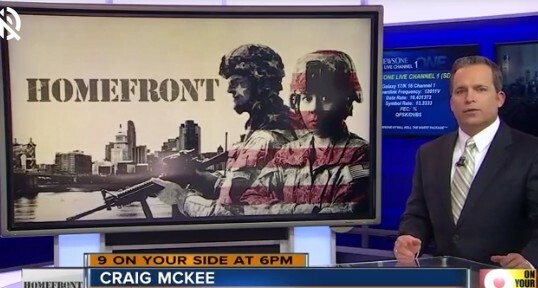 The appropriate response would be to drop the fight and finally give Veterans their due. A Jan. 29 federal appeals court ruling could expand the pool of Vietnam Veterans able to claim disability benefits connected to Agent Orange, a chemical weapon known to cause serious health problems in those exposed. “It’s about time,” Veteran John Ranson said Monday. That category — those exposed — for years did not technically include Navy Veterans like him. Agent Orange was a defoliant herbicide American soldiers deployed to thin out the Vietnamese jungle, depriving guerilla insurgents of both cover and food. When its deadly long-term health impacts became clear, Congress passed the Agent Orange Act of 1991 to provide some financial relief for all those who served. However, the Department of Veterans Affairs repeatedly denied the claims of so-called “Blue Water Veterans,” claiming only soldiers present on the Vietnamese mainland could reasonably claim to have interacted with the substance. That’s not what Rex Settlemore, who served from 1967 to 1998 and spent two tours in Vietnam, thinks. He watched from the U.S.S. Durham and U.S.S. Richard S. Edwards as airplanes releases chemical weapons overhead, and he remembers how close to the shore both ships sailed. Agent Orange particles must have made it into the ocean water he and the rest of the crew used, he said, if not the air they breathed. He believes some of the early deaths among his comrades from that time are connected to that exposure. “Ships who ingested the sea water, even if the sea water was distilled for fresh water on board, would still contain the Agent Orange contaminants,” he said, citing an Australian Naval study. Dr. Ralph Erickson, the VA’s chief consultant of post-deployment health, had repeatedly argued that ships never took in sea water fewer than 12 miles off the coast. Settlemore said he knew nothing about any similar rule during the war. The VA may still decide to resist the court’s finding and continue adhering to a boots-on-the-ground retirement for disability benefits connected to Agent Orange. If it hopes to succeed, however, it will need the support of the Supreme Court of the United States. John Ranson is hopeful that court would rule in favor of Veterans like himself. “I hope they do and see the right side of this,” he said. TAMPA, Fla. (WFLA) - A federal court ruled the Department of Veterans Affairs got it wrong when it deprived tens of thousands of Vietnam Veterans the benefits they deserve. In an 8-3 decision, the U.S. Court of Appeals decided Navy Veterans of the Vietnam War are absolutely entitled to Agent Orange related medical and disability benefits. Alfred Procopio, a Veteran who served on the U.S.S. Intrepid off the coast the Vietnam, suffers from diabetes and prostate cancer, two diseases linked to Agent Orange exposure. The VA denied his claim, pointing out that Procopio never stepped foot in Vietnam. The Court of Appeals pointed out in its decision that Congress was specific when it passed the Agent Orange Act in 1991, to include "active military, naval, or air service... in the Republic of Vietnam." The court decided Procopio served in Vietnam's territorial waters which are part of the "Republic of Vietnam." The ruling affects between 50,000 to 90,000 Navy Veterans the VA excluded from benefits. For nearly 20 years, the VA presumed that members of the military who served on the ground during the Vietnam War were exposed to the toxic herbicide. Agent Orange killed and made ill thousands of service members. The VA provided medical care and disability benefits to those who developed diseases linked to the toxic weed killer. However, it excluded Navy Veterans like Mike Kvintus of New Port Richey, who served along the coast of Vietnam. Kvintus' ship also anchored in Vietnam harbors. "We've been fighting them since 2001," Kvintus stated. Blue Water Navy Veterans argue Agent Orange ran into rivers and streams, ending up in Vietnam's bays and harbors. Their ships pulled in that water, for drinking, bathing and cooking. Distilliation systems didn't eliminate Agent Orange, they enhanced it. Kvintus has three diseases associated with Agent Orange exposure. Former Navy Commander now attorney John Wells, executive director of Military Veterans Advocacy, fought the VA in Congress and the courts. "It feels very good. I mean we've been fighting for this for eight years," Wells said. Last year, the U.S. House of Representatives unanimously passed a bill restoring the rights to Blue Water Navy Veterans that the VA stripped away. Senator Mike Lee (R) Utah effectively torpedoed the bill when he asked for more studies on the matter by the VA. The VA can fight the Court of Appeals the ruling by taking it to the U.S. Supreme Court. If it does, Wells is confident the VA will lose there too. Wells points out the fight for Veterans benefits doesn't stop here. "We have the Guam bill coming up and we have general toxic exposure," he said. "We have millions of Veterans exposed to various forms of toxic exposure. We can't stop with Blue Water Navy, this is just the first step."